So much to instagram, so little time! I have to admit, I love snapping photos of the lovely, little things in life. Anything from macaroons to accessories! You can usually find me with coffee in one hand (that's obvious) and my iphone in the other. 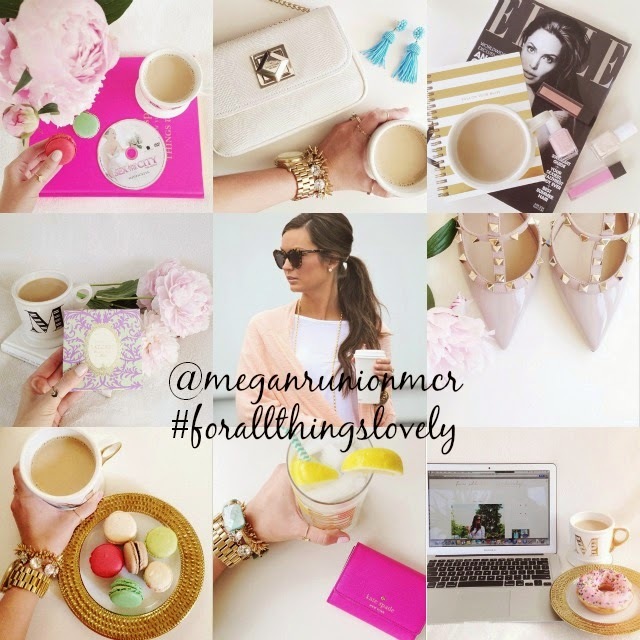 Be sure to follow along, @meganrunionmcr and #forallthingslovely. Lovely images! They are all so pretty and girly! Your life is so glamorous! Love these IG roundups! Love all of the gold and pink in these shots!